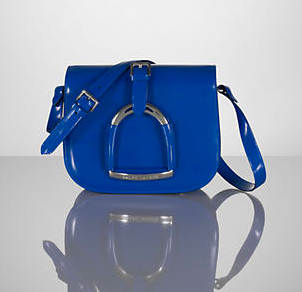 I adore this Ralph Lauren handbag. The equestrian style is always a classic. And the cobalt blue sheen with a silver-bit buckle is positively delicious. It’s the perfect size and the shape lends itself to being worn “cross body,” which is oh so cool right now. While the bag is perfect, the price is far from “right” for this stay-at-home fashionista. But what’s littleblacksweats.com for anyway, if not to dream big?